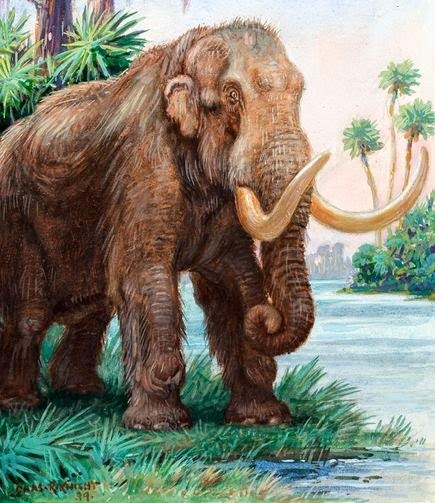 (CNN) -- Mastodons -- elephant-like beasts that lumbered across North America more than 10,000 years ago -- are long extinct, but apparently it wasn't tooth decay that did them in. 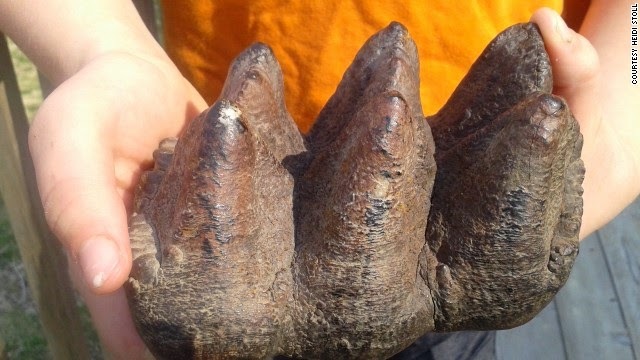 A 9-year-old Michigan boy stumbled across something -- literally -- that, it turns out, is a mastodon tooth. "I was walking down at the creek last summer. I felt something that I stepped on so I picked it up and everybody in the neighborhood thought it was pretty cool," Philip Stoll told CNN on Friday. Affectionately called "Huckleberry Phil" in his neighborhood near Lansing because of his penchant for exploring outside, Philip took the lump home and washed it off in the kitchen sink, and checked to see if it was magnetic, his mother, Heidi Stoll said. It wasn't.